Thanks for the background! I’m not familiar with European soy yogurt, but I’ve heard a lot about Australian soy yogurts, so I know that they’re out there. I really don’t mind the flavored Silk yogurts. I don’t care for Nancy’s or o’Soy (which I accidentally tried when it contained dairy). Coconut is too rich for my taste, so I’d prefer to stick to soy. I’ve tried homemade vegan yogurt, but haven’t mastered it yet. After loving WholeSoy for so long it’s been difficult to find an alternative, but for me personally the Silk vanilla is the creamiest vegan yogurt I’ve ever had. 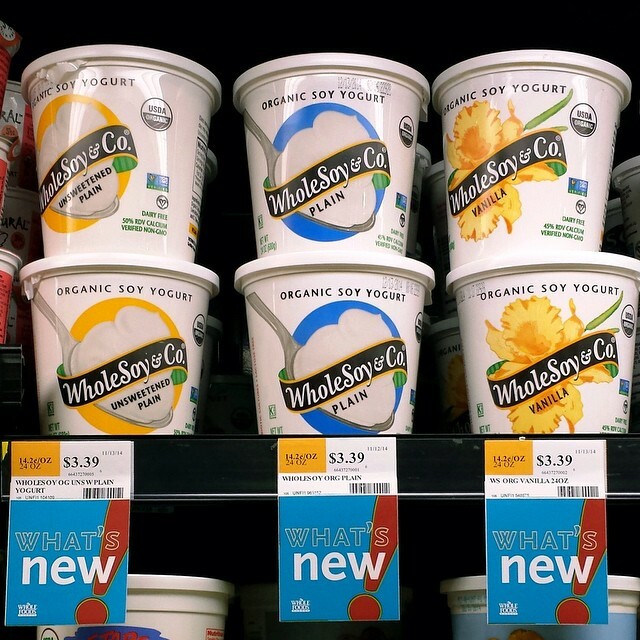 It’s difficult to find that flavor in particular, but I’m hopeful as I’ve finally seen Silk yogurt in other flavors start to appear on the shelves at stores like Lucky’s and Safeway! Raley’s has carried it for a while, though the closest one to me is about 40 miles away. I hope some manufacturer will step up and fill this niche. Meanwhile, I’m trying once again to make my own soy yogurt, in my Instant Pot that has the yogurt function. It works, but I can’t say it’s as tasty as Whole Soy. I’m currently straining some of the batch to see if it’ll turn into a nice Greek-style consistency, just for fun. And just when I’d gotten my son off dairy yogurts and into Whole Soy! That took a lot of patience, and now this! I don’t know if he’ll EVER like my homemade, but I’m gonna try to push it. On a related note, I just bought a container of So Delicious coconut yogurt and hate it. I can still use it though, to add the bacteria to my homemade attempts at soy yogurt. Hey Eve! My homemade soy milk has been a bit strong tasting, so I assume it will make funky yogurt, but I haven’t tried it yet. I did try a cashew yogurt from Miyoko’s cookbook, but it was even funkier. Not sure if the cashews were off somehow. You can get vegan yogurt cultures in Whole Foods these days, which is pretty cool. I hear that the store-bought vegan yogurts don’t consistently have high bacterial content. Some of them don’t seem to be all that fermented. And coconut seems too rich for everyday-use yogurt, although I couldn’t swear that I’ve tried it. Homemade is actually really easy, and pretty great! It’s just not very thick unless you add a thickener or strain it.